Our colorful Mixologist Lyndsie June has created some very special drinks for Joseph and the Amazing Technicolor Dreamcoat. • Chartreuse – Our House Made Margarita with the addition of Pineapple Juice and Midori Melon Liqueur. Served on the rocks with a salted rim. • Magenta – Passionfruit Vodka, Strawberry Puree, Blackberry Torani Syrup, Sweet and Sour and a splash of Sprite. Served on the rocks. • Aubergine – Black Raspberry Liqueur, Dark Creme de Cacao, and Coffee Liqueur. Served chilled in a stem glass. • Aquamarine – Dark Chocolate Chips and Green Creme de Menthe Blended into Vanilla Ice Cream. Served in a chocolate lined glass. • Sienna – Chocolate Shake with Toffee Coated Peanuts and Butterscotch Schnapps. Topped with Whipped Cream and Caramel. 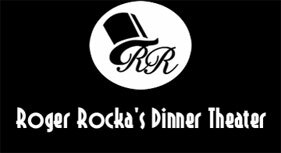 • Ivory – In June of 2018 Roger Rocka’s celebrates it’s 40th year as Fresno’s Premier Dinner Theater. For this milestone we are offering a Birthday Cake Milkshake spiked with Pinnacle Cake Vodka and topped with Whipped Cream and Birthday Sprinkles.